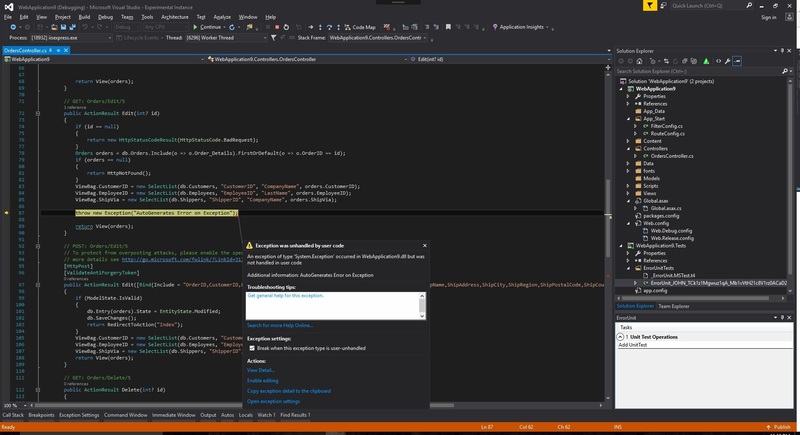 ErrorUnit can help you debug your C# application by automatically creating C# Unit Tests in Visual Studio that recreate the situation leading up to the error. 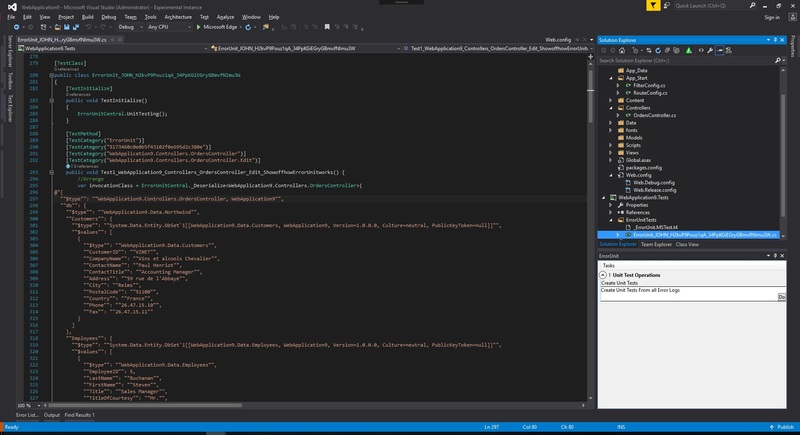 Not only reproducing the parameters that were passed to the Method that failed, but the static or private class variables, and the data accessed so far by Entity Framework. ErrorUnit guides you through the References that need to installed; enabling paused debugging or Errors in Development, QA, and Production to generate MSTest, xUnit, or NUnit Unit Tests for any type of C# application. 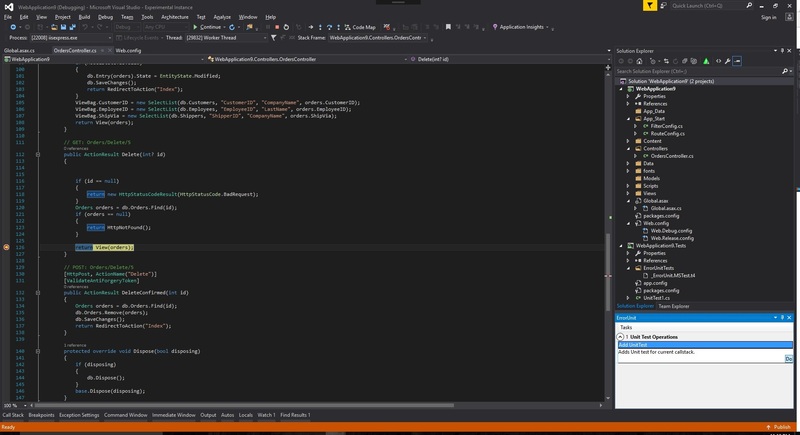 Error Unit creates unit tests, accessing error logger locations specified in config transforms. Creates an Unit Test that will replay current call stack. When you cause an error while debugging; a unit test is generated. Beta (version 1.18), 90 days of evaluation period from date of the build. Free ErrorUnit; we ask questions and work with you to make it better. One year priority support and one year of upgrades.